The study, published in a reputable American journal, links varying levels of both the Roundup herbicide and the transgenes in Monsanto’s patented NK603 corn to mammary tumors and severe liver and kidney damage. Gilles-Eric Séralini, a professor of molecular biology at the University of Caen who lead the research team, told reporters on Wednesday that the rats’ diet reflected the kind of exposure that humans who eat genetically engineered food should expect. “This is around the level [that] the American population may eat, where, unfortunately GMOs are not labeled,” Séralini said. “In Europe, we have this labeling, and it helps us to avoid these compounds if necessary and promote personal choices. The research team concluded that NK603’s transgenic traits and the endocrine-disrupting effects of Roundup herbicide could explain the results. The study is the first of its kind to link enzymes overexpressed by transgenes to health problems, Séralini said. Endocrine-disrupting chemicals cause health problems and cancers by impacting hormonal glands in mammals and are especially dangerous to children. Pesticide and herbicide critics often fear that chemicals used to kill weeds and pests could potentially be endocrine disruptors in humans. Monsanto’s NK603 and other varieties of corn are genetically engineered to tolerate Roundup herbicide, which contains the plant poison glyphosate and other additives, so that farmers can spray whole fields of crops to kill weeds while sparing the genetically modified corn. Genetically engineered crops are also known as genetically modified organisms, or GMO’s. 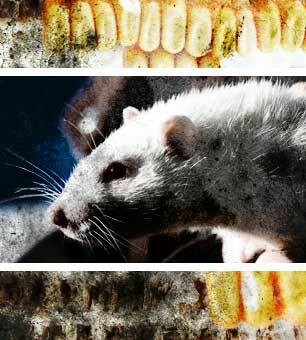 ENTIRE ARTICLE HERE: French Study Finds Tumors and Organ Damage in Rats Fed Monsanto Corn.